Osaka Ohsho has been open for a while but they recently decided to inject a dose of freshness to their menu. 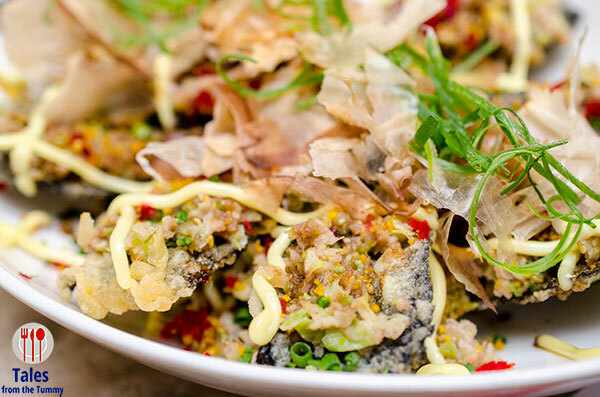 Giving it a number of new items giving new twists to the usual Japanese fare. Their old staples are still on the menu but the new menu aims to cater to a younger and hipper crowd. The new menu introduces two new gyoza variants, the Truffle Gyoza (P280/6 pcs, P560/12 pcs) and the Chori Gyoza (P360/6pcs.). 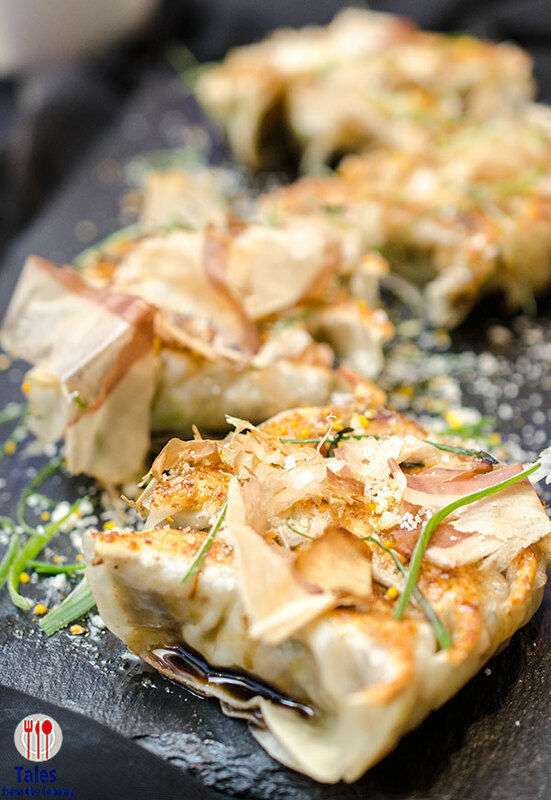 The truffle gyoza has died mushrooms, truffle oil, scallions and nori. 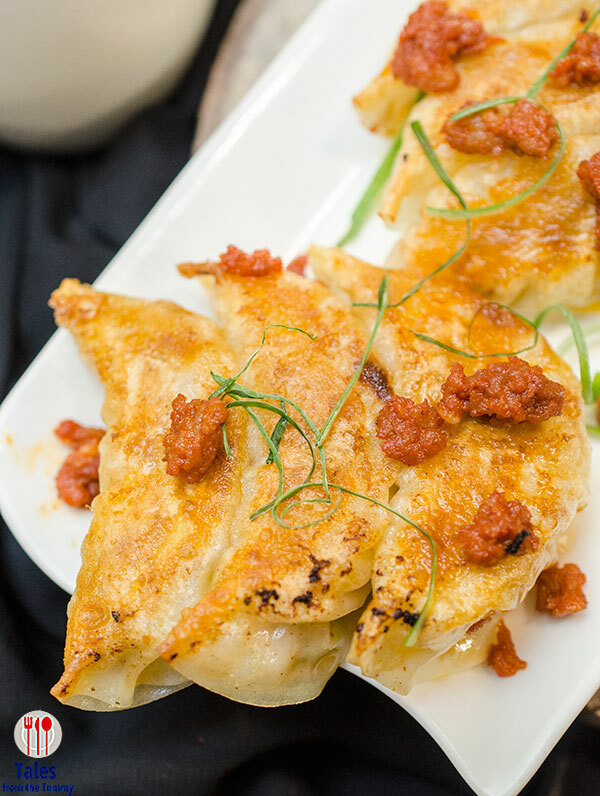 The chori gyoza combines their classic gyoza with a Spanish twist of crushed chorizo. My pick among the two new variants is the chori gyoza, the flavor is strong and the combination just works perfectly. Nori Nachos (P300). Mexican cuisine is the inspiration in this fusion dish with deep fried nori sheets as faux nachos. It is then topped with Japanese mayo, furikake and bonito flakes. Great munchy and crunchy sharing appetizer while waiting for your mains. Chicken Enokiyaki (P319). 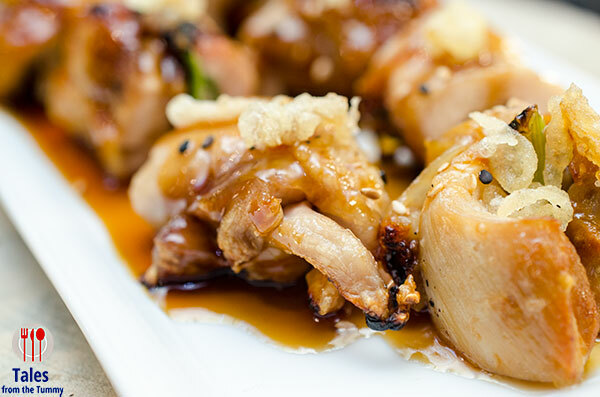 Take chicken teriyaki and stuffed it with enoki mushrooms and you get an even better and healthier dish. The dish leans on the sweet side so I knew it would appeal to me and I was not wrong, loved it with plain rice. This is also a good way to get children to eat some vegetables. Matcha Butter Tonkatsu (P350). I’m not a super matcha fan or anything but this one is really out there. 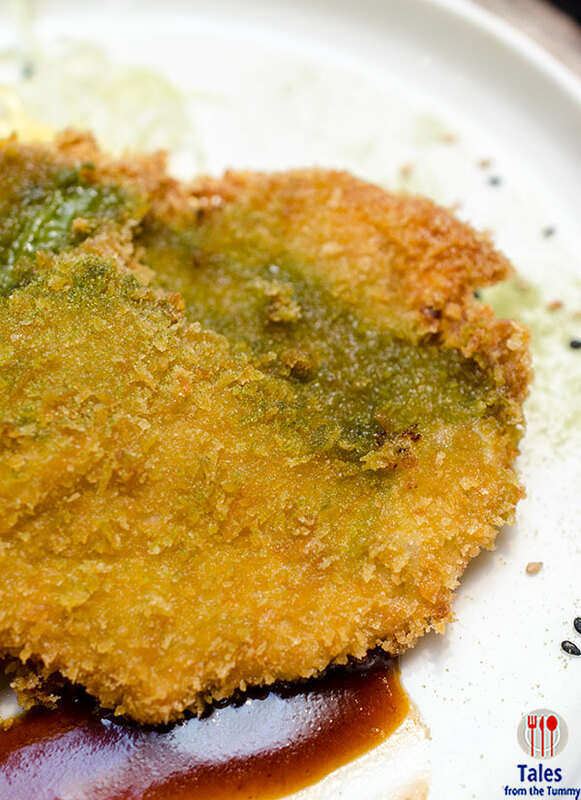 A piece of of fried pork is stuffed with matcha butter, sprinkled with matcha powder and served with miso sauce. This was just too weird for me in terms of taste but if you are a matcha fan you might want to give a try at least once to see if you like it. Salmon Cheese Aburi (P495). This was me and Irene favorite dish from the new menu. 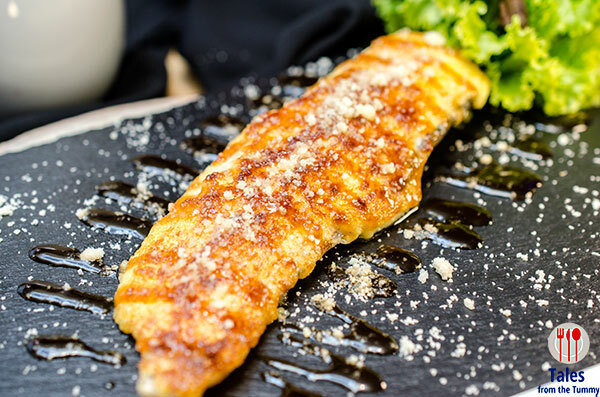 Grilled salmon fillet topped with Japanese mayo and Parmesan cheese then torched to create a wonderful caramelization and crust. Terriyaki sauce is drizzled to finish so you’ve got a blend of sweet and salty that just appeals to our palate. Gyoza Tantanmen (P329). If you are looking for the spicy tantanmen then you will be disappointed because there is no spice at all. It’s a noodle soup with mixed vegetables, gyoza and crispy noodles. The crispy noodles add lots of texture that makes this enjoyable and fresh. Japanese Paella (P495/ good for 2). 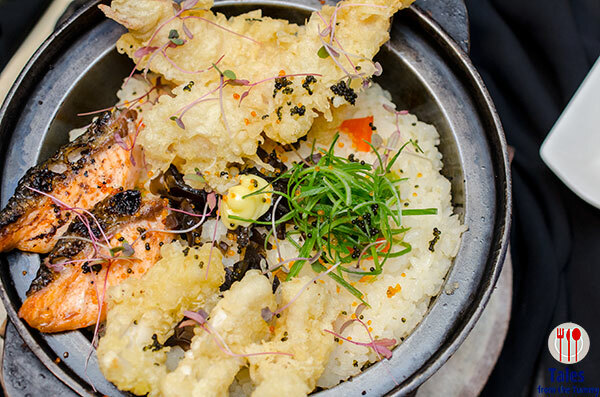 Rice cooked in miso topped with salmon fillets, squid and prawn tempura, nori sheets, matcha butter and sprinkled with tobiko. Black Pepper Gyudon (P339). 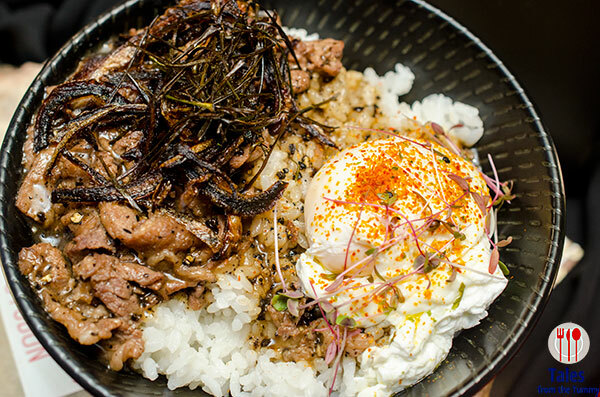 The classic gyudon dish is given a makeover with the added kick of black pepper and a poached egg on the side. 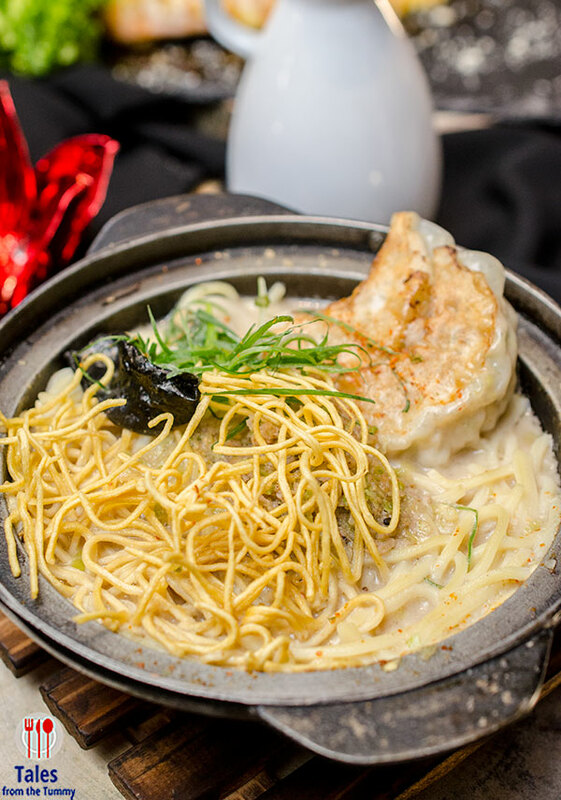 The egg still envelopes the donburi in a creamy glaze and balances out the black pepper. Simple, all in one bowl dish as donburis are meant to be. These are just a sampling of the 19 new dishes in Osaka Ohsho’s menu that take inspiration from different cuisines.